There will be plenty of new additions coming to our game, an entirely new Halloween-themed event, and on top of that, we'll also have the previously announced improvements to our Decoration Forge! But let's not keep you in the dark any longer and shed some light on what is going to await you in our upcoming October Update! and this years October will be second to none! Being brought back to life, the dead seem to rise! They may look normal to you, but they're cloaked in disguise. in an event true to the motto of the known "trick or treat"! for you might face your doom during 'The Reaper's Wrath'!" Halloween is not only prone to rhymes, but also one of the year's most celebrated events. That's why this year we are also going to have a dedicated Halloween-event in our Great Empire fittingly named "The Reaper's Wrath". We provided you with a short overview of this event in the "Our Plans for Q4 2018"-thread, but now it's time to showcase this event to you. This thrilling event will run from the 24th of October until the 31st of October! There will be no top rewards, only activity rewards in this event! 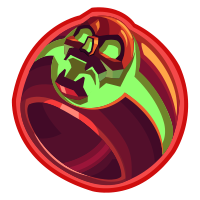 You can also buy the look item "Ring of ruin", which turns your castle into a truly thrilling Fortress, so called Soul snatchers which enable you to get retrieve your collected souls immediately (without delay), etc. 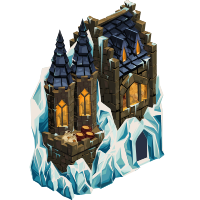 As mentioned before there will be new skins for your castles in our great Empire, coming with this event and their scary looks will truly strike fear into your enemies hearts!!! You will be able to purchase them with rubies, as well as via the event rewards for 30.000 souls. They are only cosmetic skins though, which means, that there will be no stats bonuses for them. Those new castle skins are permanent, but you can't slot them with gems. 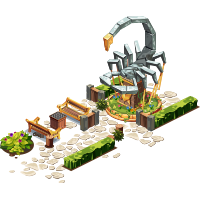 You can win a new decoration in the next royal quest campaign, it is called The Scorpion (PO 340) which symbolizes another Zodiac sign. The plan is to release this update on the 23th of October 2018. We will start with the update procedure early in the morning between 9:00 AM CEST and 11:00 AM CEST. The downtime is expected to be around 30 minutes long. Of course, food will be frozen during that longer downtime. But as always, do not take the aforementioned times as guaranteed, be aware of possible delays due to unforeseen circumstances. we will have to delay the October Update release for today a bit. This delay in our plan is due to some checks we're currently doing for the update elements that are going to be implemented by this update. Those checks are necessary in order to provide you with an update that's as smooth as possible. We deeply apologize for this delay and will inform you again on this matter, once we got more information in this regard. It is currently planned to start with the update procedure between ~12:30 and 14:00 CEST. The downtime is expected to be around 30 minutes and of course, food will be frozen during that longer downtime. Please excuse us for this delay of our update and thank you very much for your patience! We recently presented you with a special event called the "Reaper's Wrath" which will be starting tomorrow! Q.: Which level do i need to participate in the "Reaper's Wrath" hunt for souls? A.: Everyone with an XP-Level of 10 or above will be able to participate in the event. Q.: How are the attacks working during the "Reaper's Wrath"? 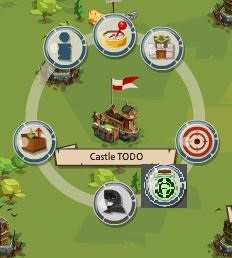 A.: Well first and foremost your attacks will be anonymous and there will be a special event attack icon shown to you when clicking on another players castle. Your attacks will actually not harm your opponent (no stolen resources, no killed enemy units, no burned enemy buildings, etc.) and you also won't lose your own units and/or any tools while attacking and/or defending. The only thing that will get stolen though are the souls that you were able to collect and the normal PvP cooldown will also apply for these attacks. Your event attacks will also not end the protection mode. Remember that this applies only to the special event attacks though. Normal attacks will still follow the known rules of normal attacks. Q.: Will we be able to attack outposts during this event as well? 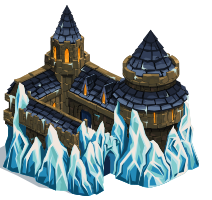 A.: The special event attacks we previously mentioned will only be possible on the main castles of other players. You'd be able to use this special attack with your outposts though. Of course you can still attack other outposts in general but just not with the special event attacks and they won't help you out for the event... and might cause a war. Q.: How can I obtain souls during this event? A.: You will receive a certain amount of souls at the beginning of the event plus a percentage(%) of your current amount of sails with each passing day in addition. Of course you will also be able to "collect" or rather steal said souls from your enemies by attacking them with the previously mentioned special event attacks. But beware: your fellow competitors will also be able to steal them from you in return. Q.: Is there a maximum amount of souls which I can steal from my opponents? A.: Per special event attack you'd be able to steal three tenths (3/10) of your opponents amount of souls. This means that if your enemy would have 1.000 souls in total, then you'd be able to steal 300 souls from him. So no, you'd not be able to steal all souls of your enemies with one single swoop. In addition to that you'll always be able to see the amount of souls that your enemies have accumulated at all times. You'd also be able to increase the amount of stolen souls with items called "soul snatchers" which we also talked about in our event announcement. Q.: How will the reward distribution look like? If you have 100.000 souls at the end of the event, then you will get the reward for 1.000, 10.000 and 100.000 souls. So this means that you will not only get the reward from the highest bracket that you're able to reach, but also from the ones that are below it. After all this is our version of a Halloween event and tricking or treating should always be fun! We will update this first FAQ with more eventual questions from our respective feedback channels/threads and will keep you updated here on the forum and in this thread. our "Reaper's Wrath" event has now officially started! Together with an amount of souls you'll also receive a special item at at the beginning of the event which will increase your collected amount of stolen souls by 5% in form of a gift. We wanted to provide all of our players with this item in order to give you all a jump start for our event! You'll be able to claim the gift from 13:00 CEST today until Thursday, the 25th (tomorrow) 12:59 CEST. Q.: Is it possible to support my alliance members if they receive an event-attack during the "Reaper's Wrath"? A.: Yes, you will be able to support and help your fellow alliance members in their defense to fend of special event-attacks in our "Reaper's Wrath" event. Q.: Is there a maximum amount of event-attacks per day? A.: No, there won't be a maximum amount of event-attacks per day! Per special event attack you'd be able to steal three tenths (3/10) of your opponents amount of souls. This means that if your enemy would have 1.000 souls in total, then you'd be able to steal 300 souls from him. So no, you'd not be able to steal all souls of your enemies with one single swoop. In fact you're able to steal up to three tenths (30%) of your opponents amount of souls as a maximum loot amount per event-attack. The default amount of stolen souls per event-attack is actually 5% of the total amount of souls from your enemies. 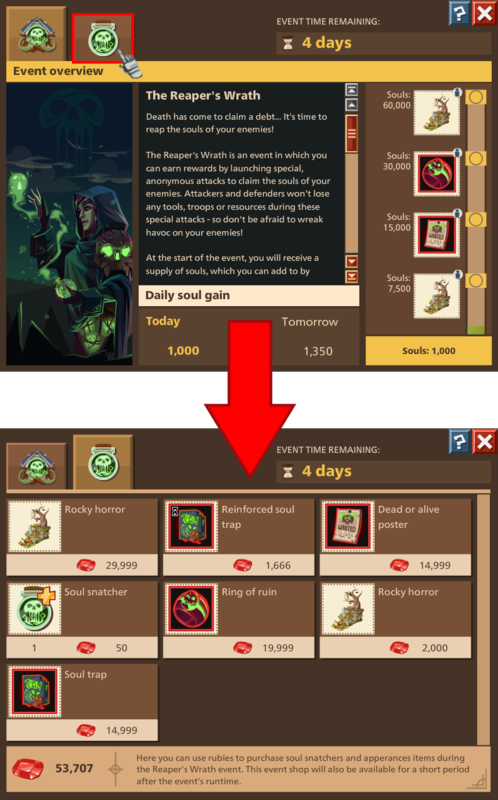 So based on our previous example of 1.000 souls, this would mean that you'd receive a standard (minimum) amount of 50 (5% of 1.000) souls for the event-attack, whereas the maximum lootable amount would be 300 (30% of 1.000). We will keep on updating this FAQ with additional questions, which focus on our "Reaper's Wrath" event and we thank you very much for your participation in our feedback channels here on the forum thus far!